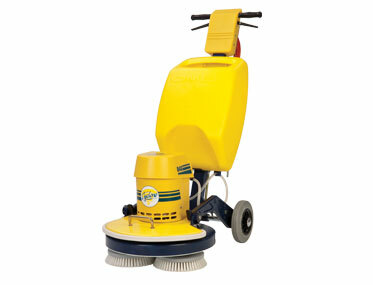 CIMEX CR48 – Multi-purpose machine. 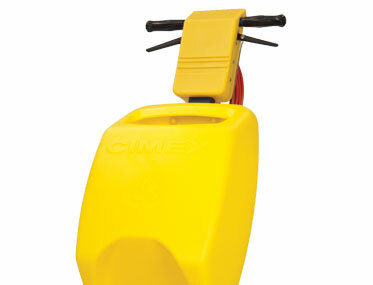 Want to see the CIMEX CR48 in action? Ideal for scrubbing hard floors, polishing and spray cleaning of vinyl and ceramic floors and cleaning uneven surfaces. 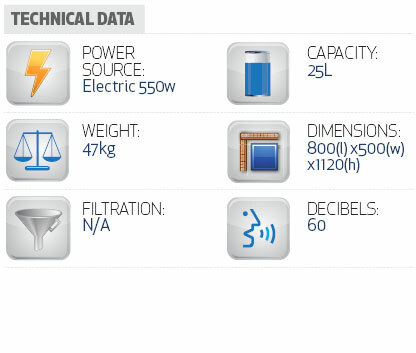 Ideal for concrete, wood, vinyl, carpet, rubber or tiles. Cimex triple brush action for great finish,increased safety and ease of use. 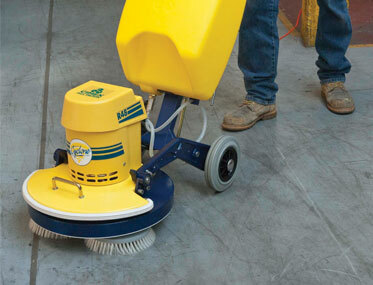 Floating brushes provide effective cleaning action of grout lines, slip resistant floors and textured natural stone. Triple brush action prevents cable snagging. This unique triple head scrubber is used for hard & soft floor surface cleaning. Porous floors soak up liquids very easily which can make it difficult to remove dirt and debris. Facilities, motels and other businesses can spend a lot of money each year paying to have carpets cleaned and stone floors treated in order to remove staining. With specialist cleaning machines such as the Cimex CR48, it is possible for these costs to be reduced when you have one available on site. Cimex have made a reputation for their three-headed brush design, which provides easy and unique cleaning for almost any surface including carpet, timber, stone, terrazzo and ceramic tiles. The machine works by using a planetary triple drive diffusing chemical through each brush or pad driver. 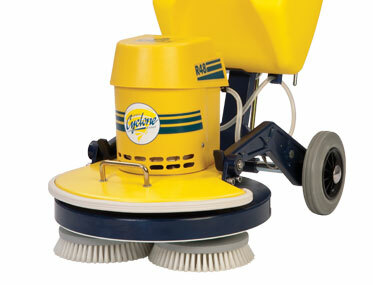 This provides a unique scrubbing system for most types of anti-slip and uneven floors. Brush life is increased as the motor is bi-rotational and the brush design prevents cables from being swept into the brushes; a safe scrubber. The Cimex is the ultimate machine for encapsulation which is an interim carpet cleaning, low moisture method, making cleaning in larger public areas fast & easy.